This week, Susan and Kitty have put their minds to the test in order to think up the Top 10 Mutant Telepaths in Marvel Comics. These X-Men friends and foes prove that brains can beat brawn, even against the deadliest threats. Also known as Three-In-One, the Stepford Cuckoos are a set in incredibly gifted triplets who were star students of Professor X’s psychic course at the X-Men academy. They were cloned from Emma Frost through the Weapon Plus program. The Cuckoos were originally triplets, but sisters Esme and Sophie died in an incident with their rival Kid Omega. Celeste, Mindee, and Phoebe are the remaining sisters, who posess powers similar to their clone-mother Emma Frost. Hope Summers, also known as the Mutant Messiah, was the first mutant born after Scarlet Witch decimated the mutant population and turned all but 198 of the world’s mutants into depowered humans. When Hope was born, Cerebro exploded and people began to hunt for her. Rescued by Cable, Hope eventually grew into her powers as an omega-level mutant and vessel for the Phoenix Force. She has immense power mimicry abilities, and a number of psychic talents. Nathan Christopher Charles Summers, better known as Cable, is the mutant son of Cyclops and Madelyne Pryor, Jean Grey’s clone. First appearing in The New Mutants #87, Cable has a complex backstory that takes him through multiple timelines, where he was a chosen one believed to be able to defeat Apocalypse. He has telepathic and telekinetic abilities, but the strength of these powers has varied across his many appearances. He has been able to levitate an entire city, and in some instances his powers have faded away entirely. David Charles Haller’s mutant powers manifest in strange ways- the son of Charles Xavier, Legion is mentally unwell and has a dissociative identity disorder, resulting in multiple personalities controlling his many abilities. He is considered an omega-level mutant. Each of Legion’s personalities has a distinct name and behavior, with powers including telekinesis, telepathy, Hulk-like strength, and even reality-warping. 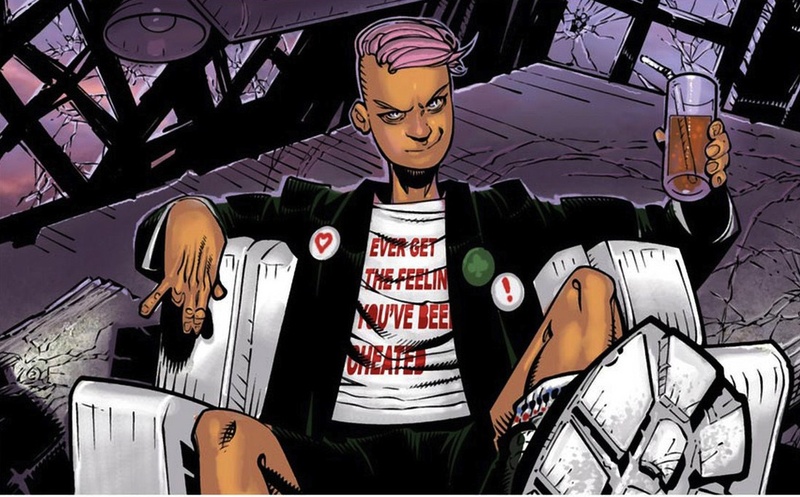 Quentin Quire is one of the modern Marvel mutants, introduced in the New X-Men in 2003. His full name is Quintavius Quirinius Quire, but he’s mostly known as Kid Omega, famous for his pink hair and punkish attitude. He’s an omega-level telepath and incredible genius, and can create psionic physical constructs as weapons. He was able to even exist without a body, his mind being so strong of a presence. As if he didn’t have a big enough head, he recently became host to the Phoenix Force, which he sacrificed to save Jubilee. En Sabah Nur is quite possibly the first living being to express the mutant X-gene. He was born thousands of years ago in Aqaba, abandoned by his people because of his grey-blue appearance. As a child, En Sabah Nur was generous with his powers, but he grew into a mighty villain with control over his very being to a cellular level. Apocalypse is effectively immortal, and can fly, has genius intellect, and vast telepathic powers. Emma Grace Frost, the White Queen, is an omega-class telepath who is also capable of transforming into an organic diamond state. She has been a host to the Phoenix Force, and her abilities rival Charles Xavier himself. She has overcome the powers of Nate Grey, Kid Omega, and Rachel Summers, and can broadcast and receive the thoughts of others, and alter memories within the brain. Emma Frost also has latent telekinesis. Elizabeth Braddock is the twin sister of Captain Britain and has undergone several changes since her earliest appearances. She has great telepathic strength, able to tap into other’s powers, affect memories, and even astral project herself. She is well known for her psionic weapons, which manifest as pink energy in a physical form. Psylocke has deadly skills with weaponry, and she is known for the butterfly-shaped energy aura that projects from her face when her powers are in use. Jean Grey is one of the most notable mutants in all of the X-Men continuity. She is another Omega-level mutant, as well as the physical manifestation of the cosmic Phoenix Force. When her powers first manifested, they were so strong she was unable to cope with it, and Professor X had to suppress her access to her powers, training her slowly to use her powers before reopening her full potential. As the Phoenix, she can rearrange matter at a subatomic level, and manipulate cosmic energies to disrupt the very fabric of reality itself. Professor Charles Francis Xavier, better known as Professor X, is one of the most powerful psychics in the entire Marvel Universe. He possesses genius-level intellect, has ESP, telepathy, and mental manipulation abilities. He founded the famous Xavier’s School for Gifted Youngsters, providing refuge for many young mutants learning to control their powers. As noted in previous entries, he has influenced other incredible telepaths like Jean Grey and David Haller. His abilities are unparalleled, and his guidance has touched the lives of all the generations of X-Men to follow his lead. Did you miss any of our previous episodes, including Top 10 Underrated DC Super Heroes and Top 10 Superhero Headquarters? You can check out the full Geek Culture Countdown podcast on iTunes. Keep an eye out for new episodes and more ways to listen coming soon.